I am SO excited to share a new skincare line that I have been trying the last few weeks. 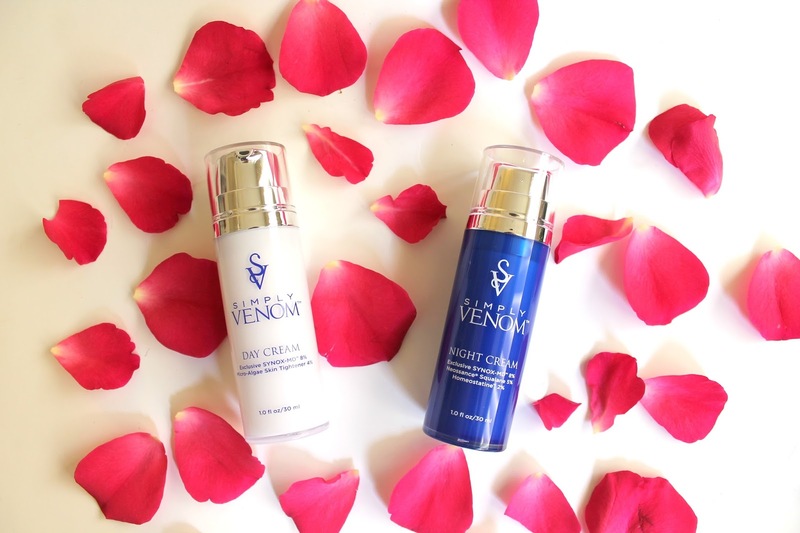 Simply Venom is a skincare line that was founded by two anesthesiologists. Their skincare, just like injectables, helps to relax your muscles to reduce the appearance of fine lines and wrinkles on your face. If you're anything like me then you're terrified of trying out something like Botox to help reduce fine lines and wrinkles on your face, but you still want to reduce their appearances on your face! At first I was a little nervous to try Simply Venom because I thought maybe there was actually snake venom in it, but there isn't! Simply Venom is also paraben, gluten, dye and fragrance free, which is great for people with sensitive skin like me. I've been using their day and night cream everyday and have really noticed a difference in my smile lines and fine lines around my eyes. It's amazing! I have really sensitive and dry skin and haven't had any issues so far. If you have any skin sensitivities, Simply Venom outlines all of their ingredients on their website so you can check if you have sensitivities to any of the ingredients. They also tell you what all of the ingredients are for, which I think is really cool. 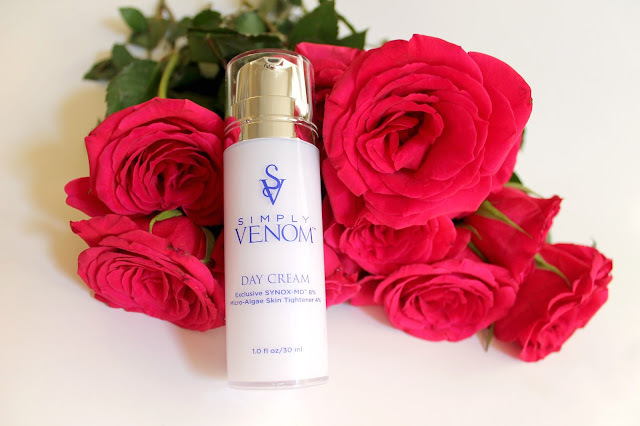 I use the Simply Venom day cream every morning. I love that it is lightweight and absorbs into my skin quickly while still providing much needed moisture. I apply my makeup around five minutes after applying the day cream and my makeup goes on so smoothly! 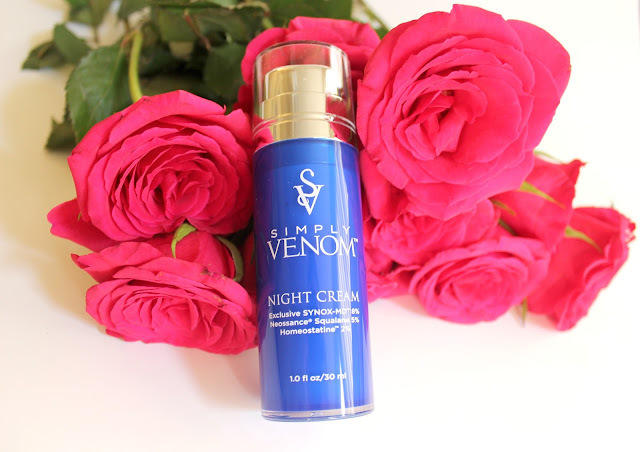 After cleansing my face at night, I have been using the Simply Venom night cream as well. I love that the night cream has antioxidants and probiotics to help soothe your skin. It's really helped reduce the redness I have on my cheeks. It provides the moisture my skin needs while at the same time helped to reduce fine lines and wrinkles on my face. I can't recommend it enough! 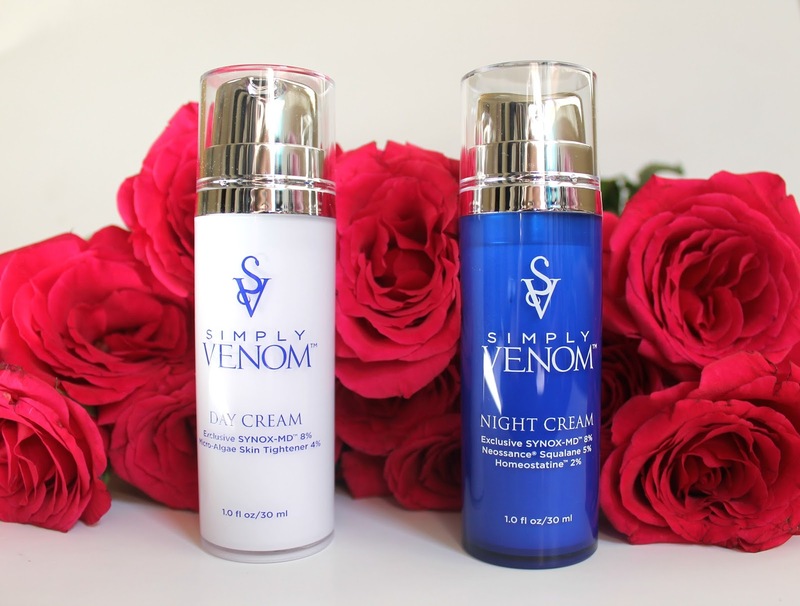 Let me know if you try any of Simply Venom's skincare and what you think about it! You can follow Simply Venom on Facebook, Instagram, Google+ and YouTube. *This post was sponsored by Simply Venom, but all opinions are my own.